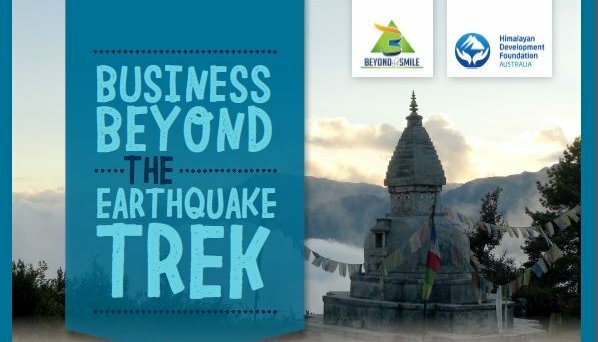 Beyond the Smile has kindly offered to donate all funds raised during the Business Beyond the Earthquake Trek to the Himalayan Development Foundation Australia. 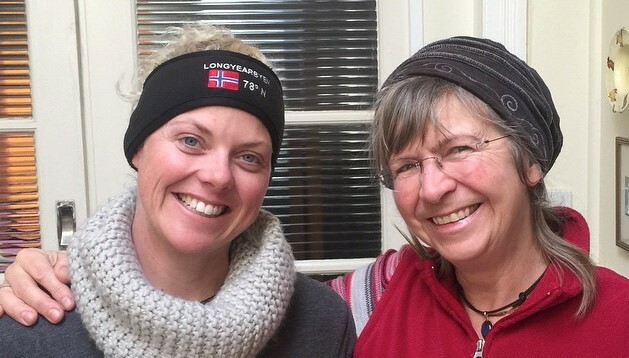 Brigitte Muir (the first ever Australian Woman to Summit Everest) and Jillian Hamilton (Business Leader) wish to announce a very special trek to be run in December 2015. We invite you to become part of the daily life in the village of Lura and on the ‘country roads’ of the Solu, through Brigitte Muir’s Lura Family connections. Become part of the daily life in the village of Lura and on the ‘country roads’ of the Solu, through Brigitte Muir’s Lura Family connections. See the whole Himalaya Range from Pike Peak (4070m) ridges. Meditate with the monks at Chiwang Monastery. Enjoy daily meditation/yoga/Qi Gong/walking, you choose! Have fun making the world a better place, in Nepal and back home. Fully supported casual trek in the region right below Everest. 3 meals a day while in the mountains, plus morning and afternoon teas. I have been a trek and mountaineering expedition leader and designer for over twenty years. I know what Western visitors seek and appreciate, or may want to discover. I am therefore in a privileged position thanks to my familiarity with the region to make this journey a very special one, and one that will help us experience ‘oneness’ with everything. Although “Safety First” means I will be making the final decisions, you’ll have the opportunity to voice your preferences on the program and pace, which will suit us all. Business Mentor | Jillian Hamilton is an accomplished Business Leader who presents in a no shades of grey manner. Jillian has worked across many industries and her skills are sought after internationally. Jillian currently mentors on a regular basis with all levels of professionals from CEO to Entrepreneur to General Manager to Middle Line Manager to Entrant to Workforce. Her key strength is strategic long term planning and goal setting. Her belief is that anyone can achieve whatever they put their mind to. Jillian and Brigitte have joined forces as Jillian follows in Brigitte’s footsteps to conquer the Seven Summits. She hopes that her experiences can lead to new adventures for others in work and play. Without a plan you plan to fail. Sometime you just need someone to help you work out where to start!